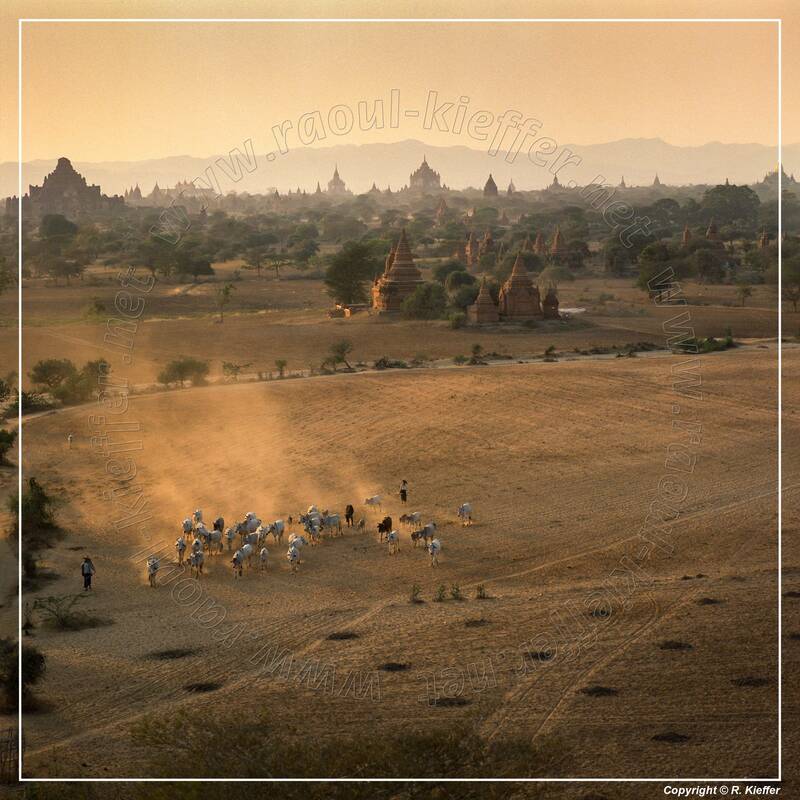 Bagan (formerly Pagan) is an ancient city located in the Mandalay Region of Myanmar. 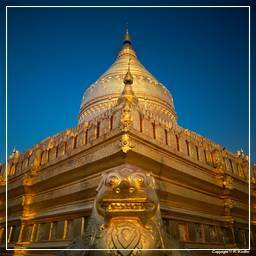 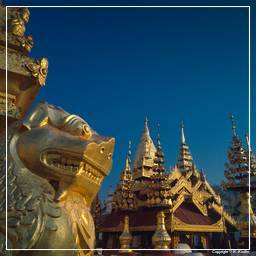 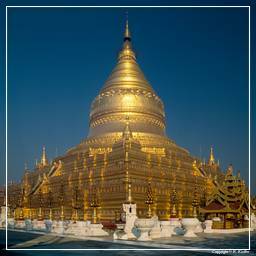 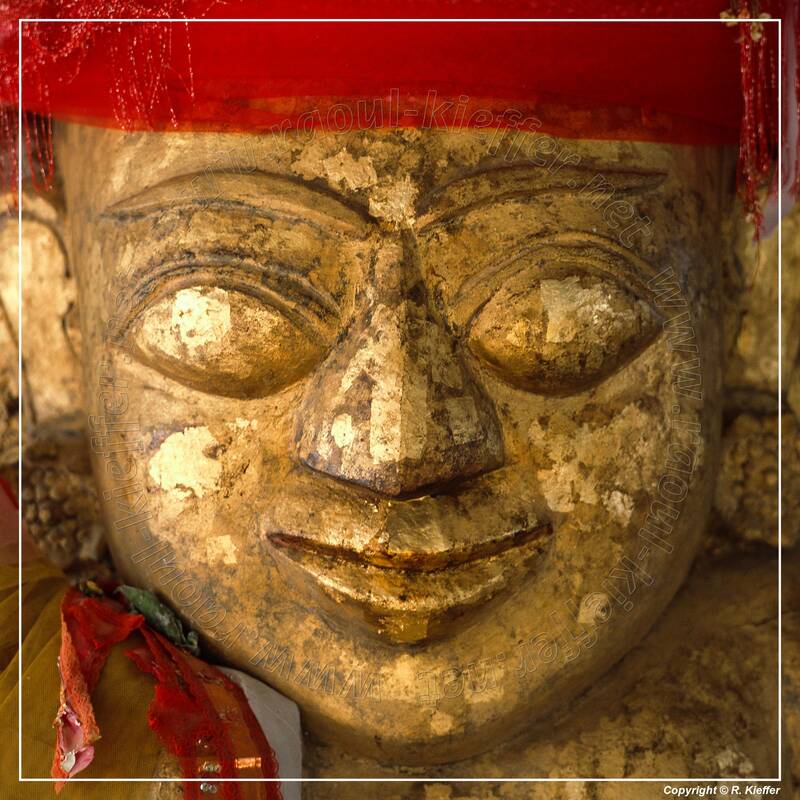 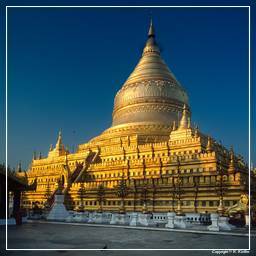 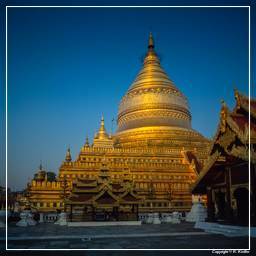 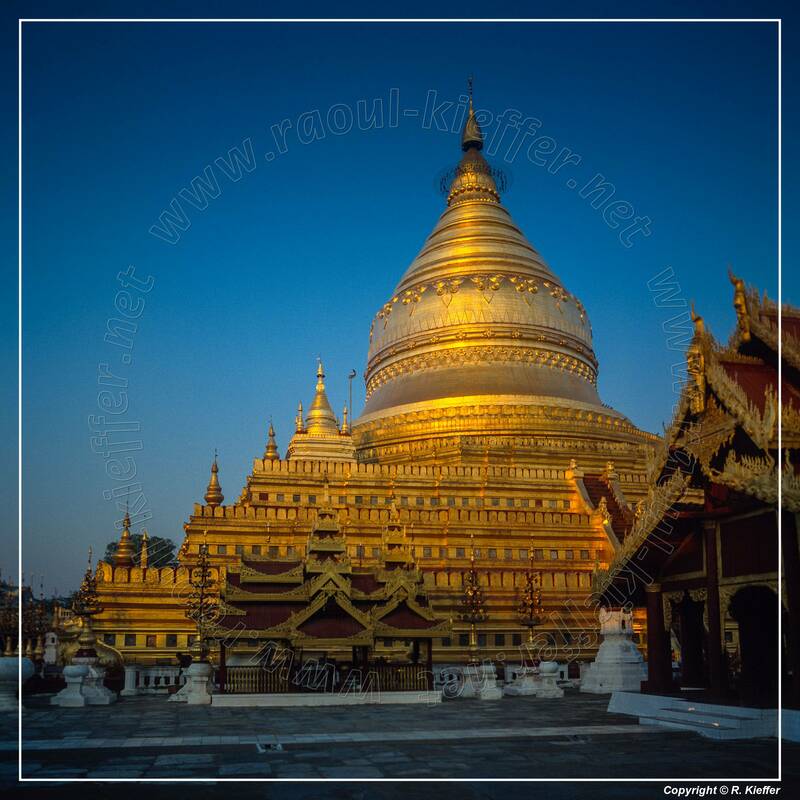 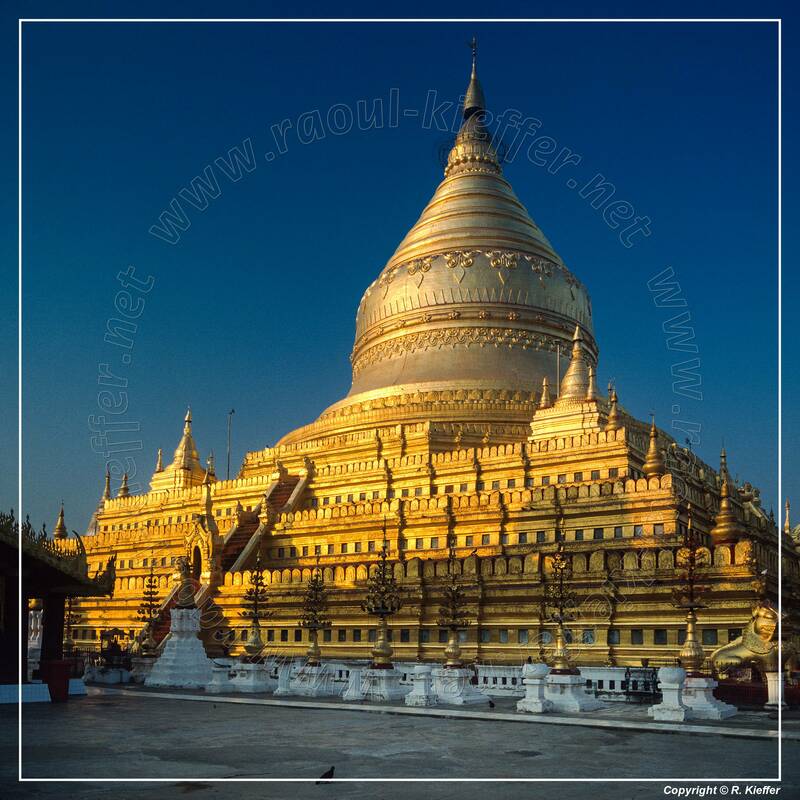 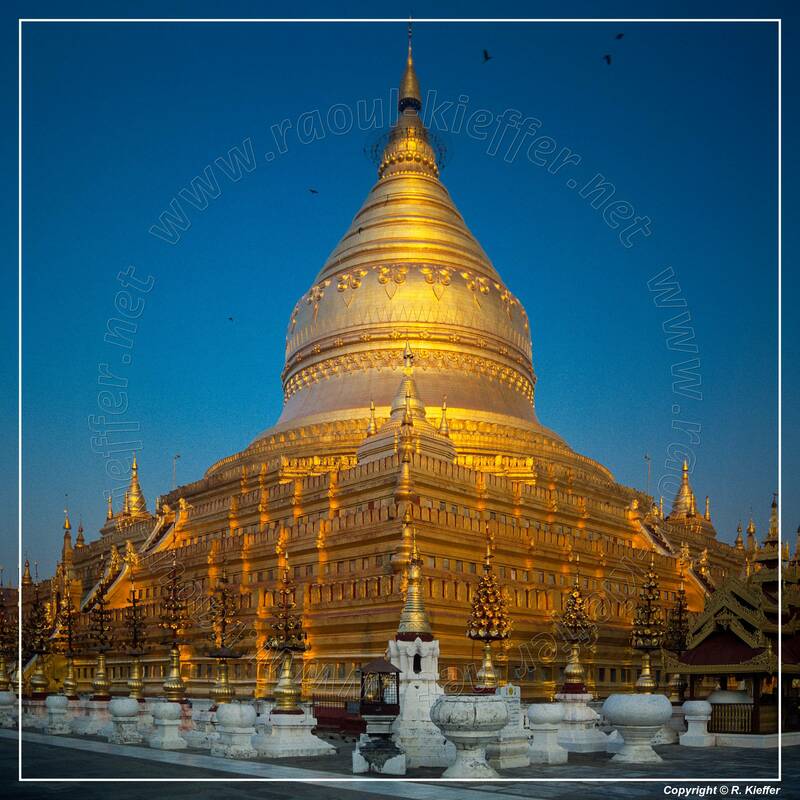 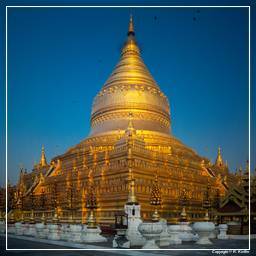 From the 9th to 13th centuries, the city was the capital of the Pagan Kingdom, the first kingdom that unified the regions that would later constitute modern Myanmar. 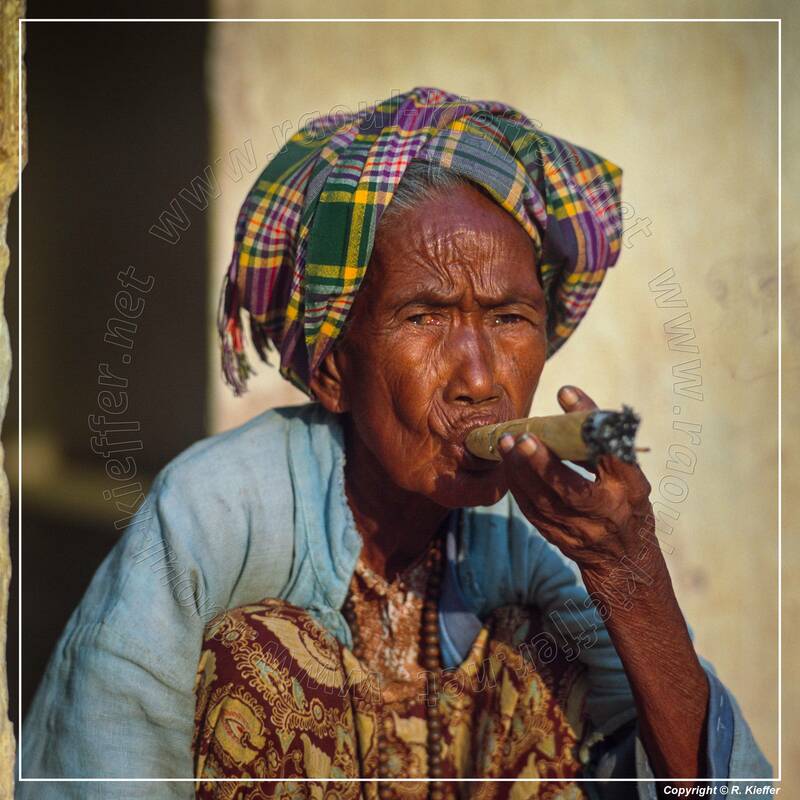 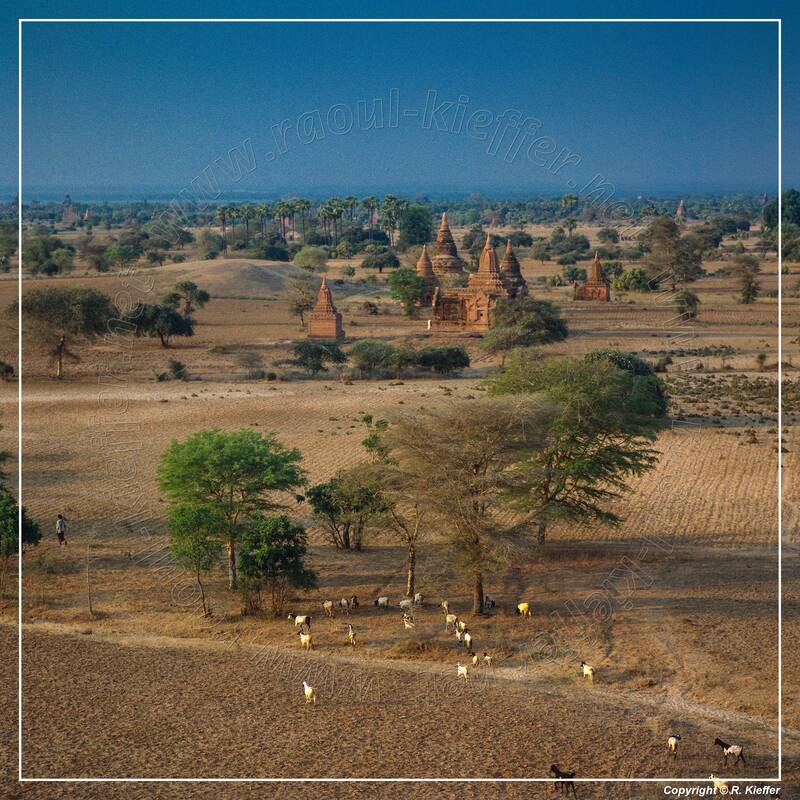 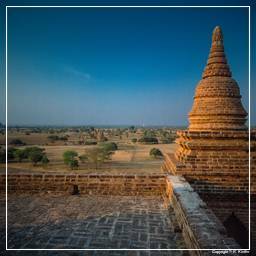 During the kingdom’s height between the 11th and 13th centuries, over 10,000 Buddhist temples, pagodas and monasteries were constructed in the Bagan plains alone, of which the remains of over 2,200 temples and pagodas still survive to the present day. 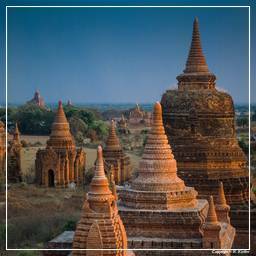 According to the Burmese chronicles, Bagan was founded in the second century, and fortified in 849 by King Pyinbya, 34th successor of the founder of early Bagan. 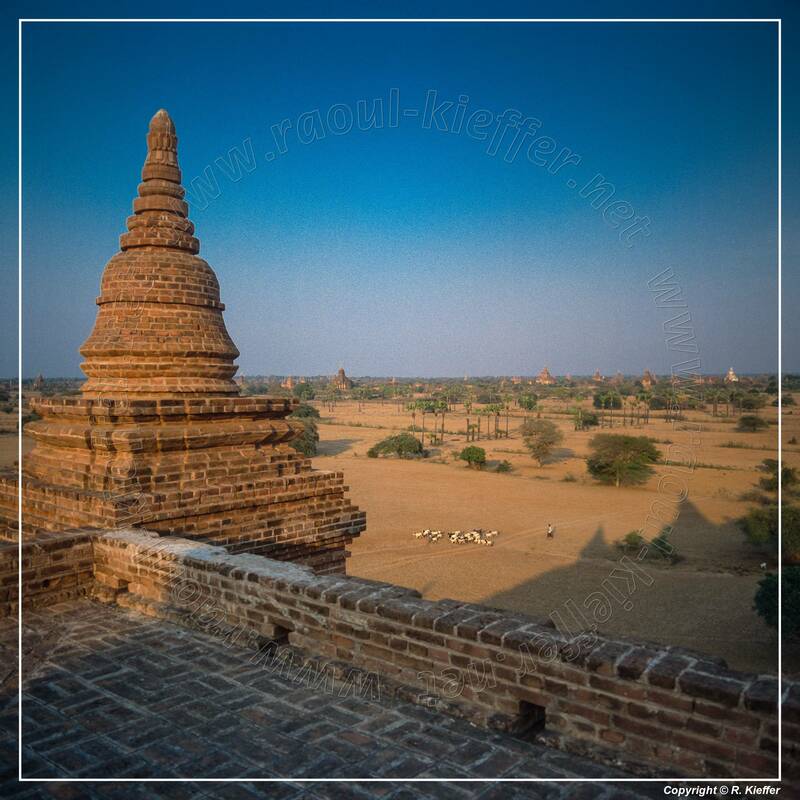 Mainstream scholarship however holds that Bagan was founded in the mid-to-late 9th century by the Mranma (Burmans), who had recently entered the Irrawaddy valley from the Nanzhao Kingdom. 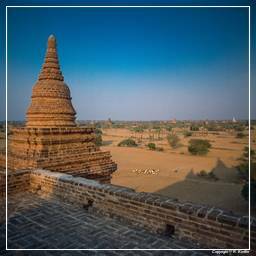 From 1044 to 1287, Bagan was the capital as well as the political, economic and cultural nerve center of the Pagan Empire. 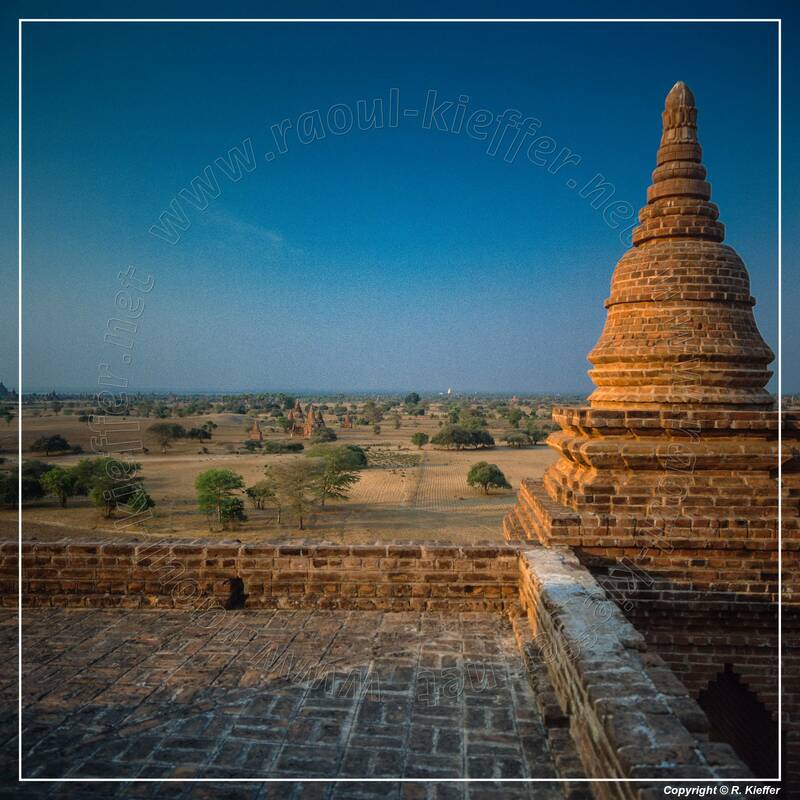 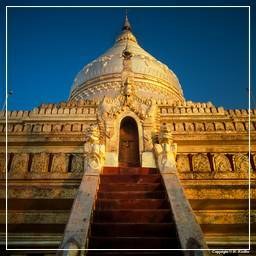 Over the course of 250 years, Bagan’s rulers and their wealthy subjects constructed over 10,000 religious monuments (approximately 1,000 stupas, 10,000 small temples and 3,000 monasteries) in an area of 104 km2 in the Bagan plains. 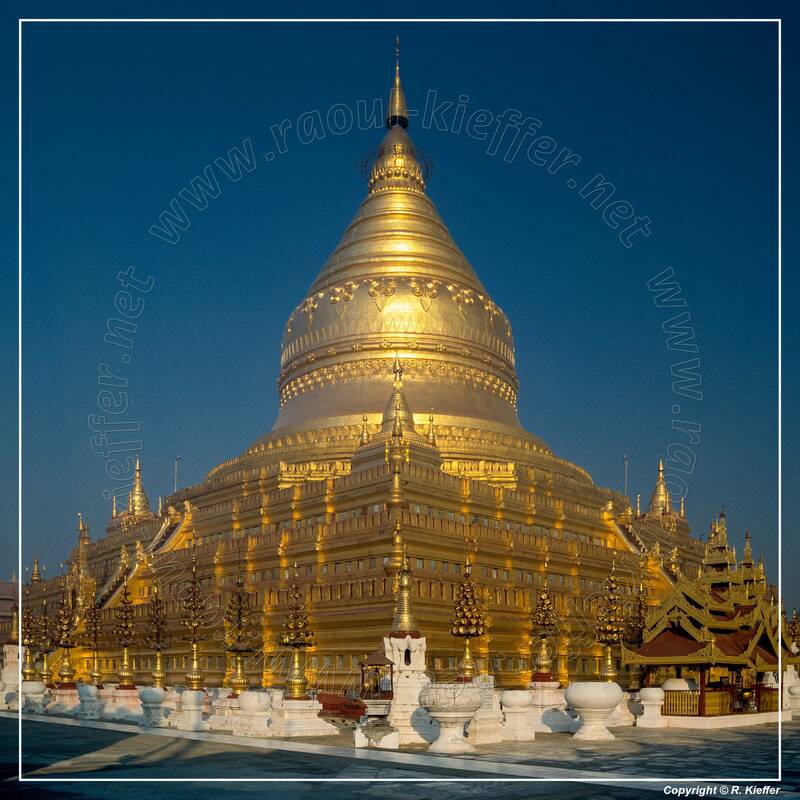 The prosperous city grew in size and grandeur, and became a cosmopolitan center for religious and secular studies, specializing in Pali scholarship in grammar and philosophical-psychological (abhidhamma) studies as well as works in a variety of languages on prosody, phonology, grammar, astrology, alchemy, medicine, and legal studies. 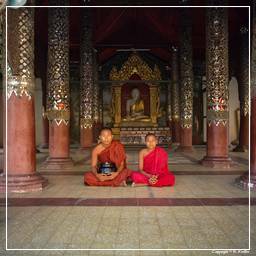 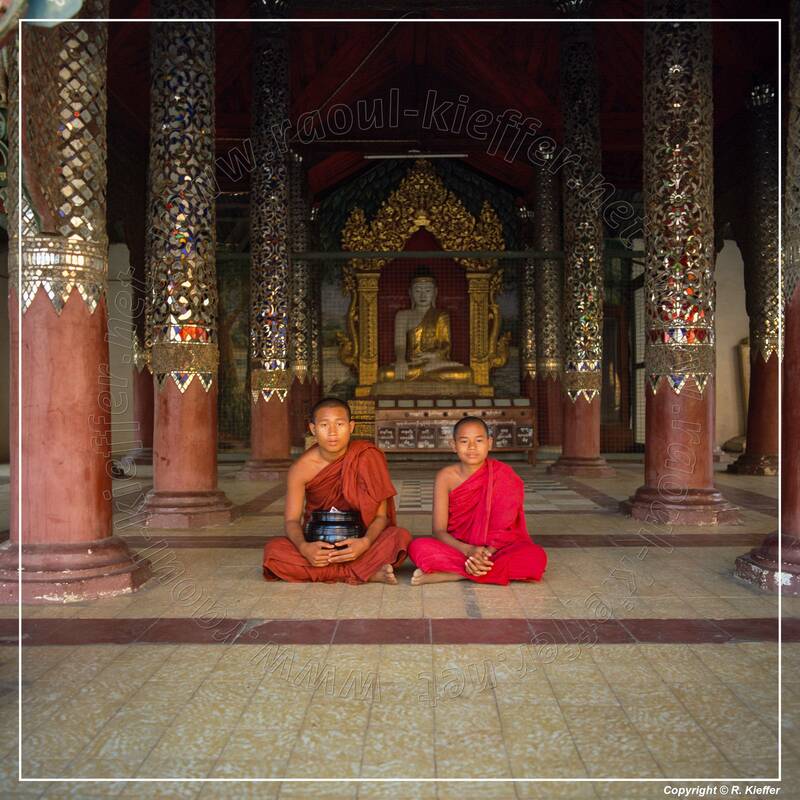 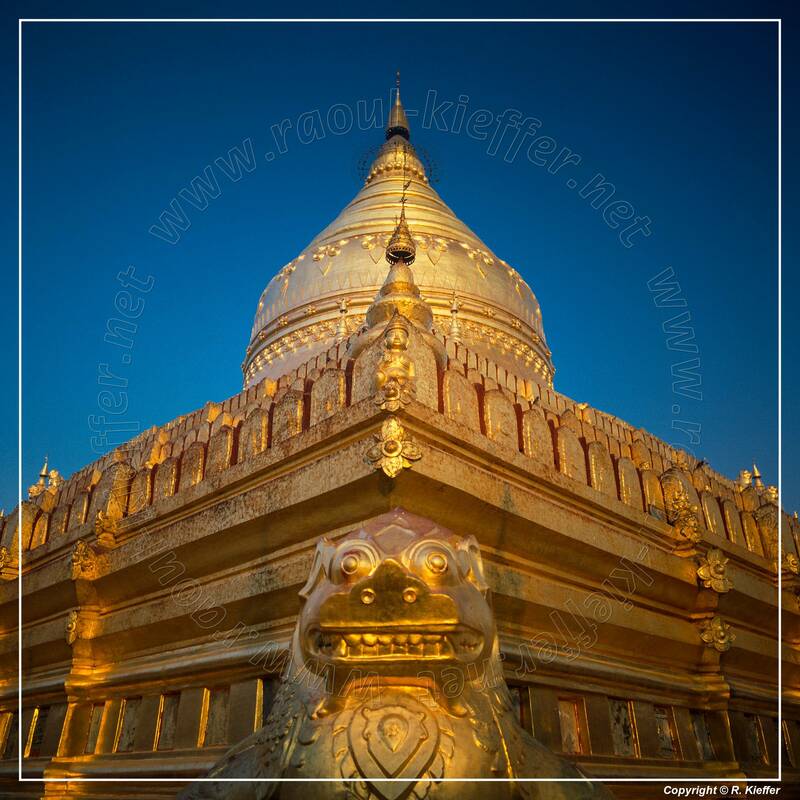 The city attracted monks and students from as far as India, Sri Lanka and the Khmer Empire. 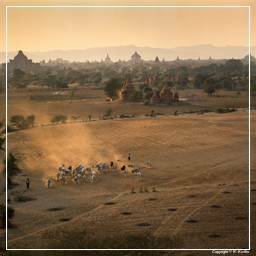 The Pagan Empire collapsed in 1287 due to repeated Mongol invasions (1277–1301). The city, once home to some 50,000 to 200,000 people, had been reduced to a small town, never to regain its preeminence. 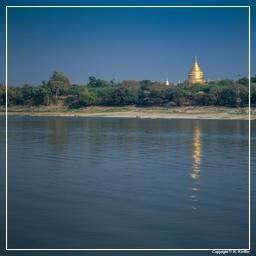 The city formally ceased to be the capital of Burma in December 1297 when the Myinsaing Kingdom became the new power in Upper Burma.